What’s the deal with video streaming services? Did you ever notice how none of them in the U.S. have Seinfeld? 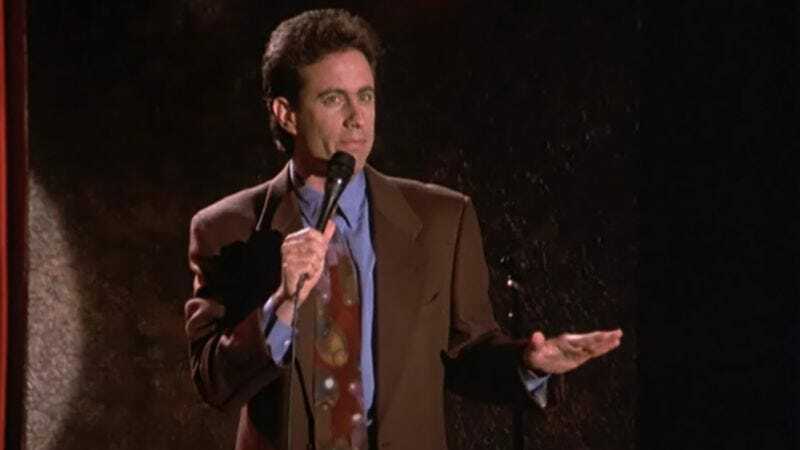 What’s the deal with that? Well, according to The Wall Street Journal, the deal is that most of the major streaming services (plus Yahoo) are still fighting over the streaming rights to Seinfeld and, unsurprisingly, Sony wants a ton of money for them. Note that not all of the major streaming services are interested, though, as Netflix apparently “took a hard look” at Seinfeld last year and decided to pass on the show. The WSJ suggests this is because Sony wants more money per episode than what Netflix paid for Friends, and Netflix doesn’t want to hurt its wrist by signing all of those checks. As for how much money Sony is hoping to get, the report says it’s looking to get at least $500k per episode—but probably much more than that. Hulu, Amazon, and Yahoo are still in the running, and it will most likely be a huge win for whoever gets it. Hulu recently won the rights to CSI, another long-running show that’s beloved by everyone, so it seems to be the frontrunner in this race. Amazon has a handful of HBO shows, though, so getting Seinfeld would be another prestigious feather in its streaming cap. As for Yahoo, it’s going to start streaming new episodes of Community soon, and this deal would probably give Yahoo users some incentive to stick around and watch Community…maybe? Or maybe, like The Simpsons, it will go to someone who basically builds an entirely new streaming service for it. Seinfeld World! Every episode ever! Yadda yadda yadda!